That’s the view of the ICFM as it highlights the need for rational decision-making over future vehicle choices and says more government support is needed to drive plug-in vehicle take-up. Speaking at yesterday’s Go Ultra Low Fleet Summit in London, Peter Eldridge, director of the ICFM, told delegates that for UK fleets electric vehicles were a “conundrum”. In particular, Eldridge highlighted ongoing industry concerns that fleets and drivers are turning to plug-in hybrids due to tax loopholes but were very likely to suffer increased operating costs – specifically fuel bills – as a result, and warned that plug-in hybrid cars were for “a significant number of fleet managers the proverbial duck out of water operating predominantly outside of their economic efficiency zone”. His comments follow TMC’s publication last September of CO2 and fuel economy figures for third-party PHEVs run using its Mileage Capture and Audit system, which showed that when PHEVs weren’t deployed correctly, they could fall among the most polluting vehicles on the fleet. The analysis of seven PHEV models found the vehicles in the sample achieved an average of almost 45mpg compared to their advertised average consumption of 130mpg. This equates to average real-world CO2 emissions of 168g/km – compared to 55g/km from the cars’ advertised emissions and an average of 159g/km seen for diesels in a TMC analysis earlier this year. TMC warned that its data showed how PHEVs would attract the top rate of company car tax in three years’ time if they were assessed on their real emissions instead of on laboratory test results. 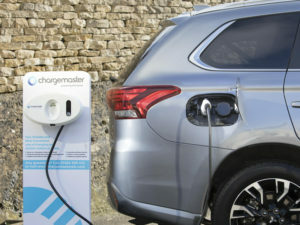 And last year also saw ACFO warn that fleets are not using PHEVs properly as it highlighted that the fleet industry is “awash with stories of company car drivers choosing plug-in hybrid vehicles in pursuit of lower BiK tax bills, but not reaping fuel economy savings” and added that fleets were incurring early termination charges by returning such vehicles to leasing firms ahead of the end of the contract. At yesterday’s Go Ultra Low event, the ICFM’s Peter Eldridge added to ongoing industry calls for fleets to ‘do the maths’ before deploying PHEVs and ensure drivers were supported with knowledge on maximising electric miles in them once implemented. Eldridge also urged operators not to be drawn into poor fleet vehicle decision-making due to the ‘diesel demonisation’ of recent months, echoing the viewpoint of many in the industry that the fuel type still has much to offer the right fleets. Eldridge also said that government support was needed to encourage fleet demand for plug-in company cars and outlined a multi-point roadmap that the government could take on board. Outlining how company car drivers opting for zero emission cars would see Benefit-in-Kind bills rise dramatically over the next couple of years before reducing to 2% in 2020/21, Eldridge urged the Government to rethink electric vehicle driver taxation and also provide other incentives similar to those in Norway – where plug-in vehicles accounted for more than 50% of new car registrations last year. He also reiterated ACFO’s calls for the Government to publish Advisory Fuel Rates and Approved Mileage Allowance Payment rates for plug-in vehicles to simplify the “challenging issue” of mileage reimbursement.